Besides Victoria Beckham, one of my greatest sources for style inspiration is probably Diane Keaton. If you don’t know who she is, Google her and then thank me later. Keaton’s style is iconic. She was doing the menswear thing before it even was a thing. Her feminine treatment of masculine pieces is artistic, kooky, current, and plain ol’ cool. Anyone who knows me also knows how much I love a button-down shirt; the bedrock of many menswear-inspired styles. 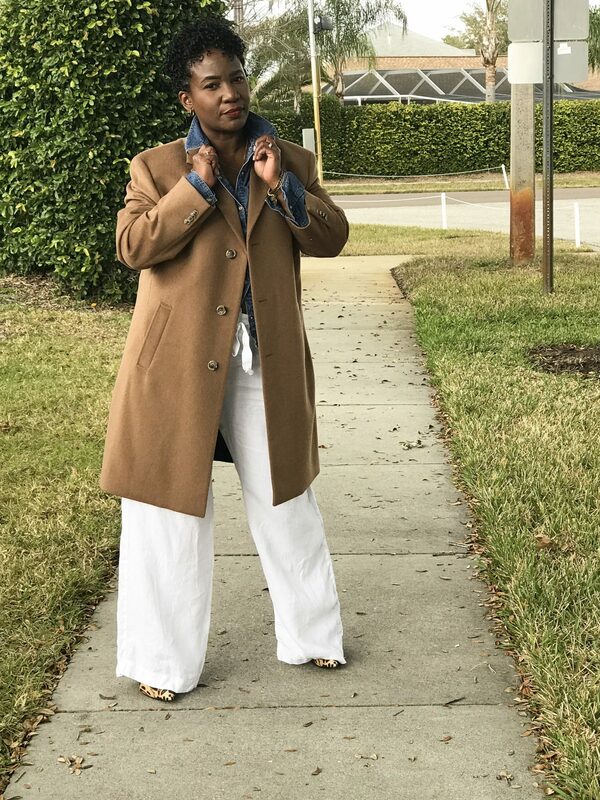 A few other menswear-inspired staples that can always be found in my closet are denim, a wide leg trouser and oversized blazers. Lately, I’ve been getting into the look even more because we have a more relaxed dress code at work, so I have a little more freedom to experiment. Playing with proportions is one of my favorite ways to achieve a menswear-inspired look. I hadn’t even noticed how much I do it until someone in the office pointed it out. She told she’d never considered wearing coats and blazers of different lengths until she’d seen me do it. I love how blurred the lines between men’s and women’s styles have become. It’s easier than ever to jump into the hubby’s closet to try things out before I commit to buying a new piece. Honestly, I’d rather borrow than buy anyway. 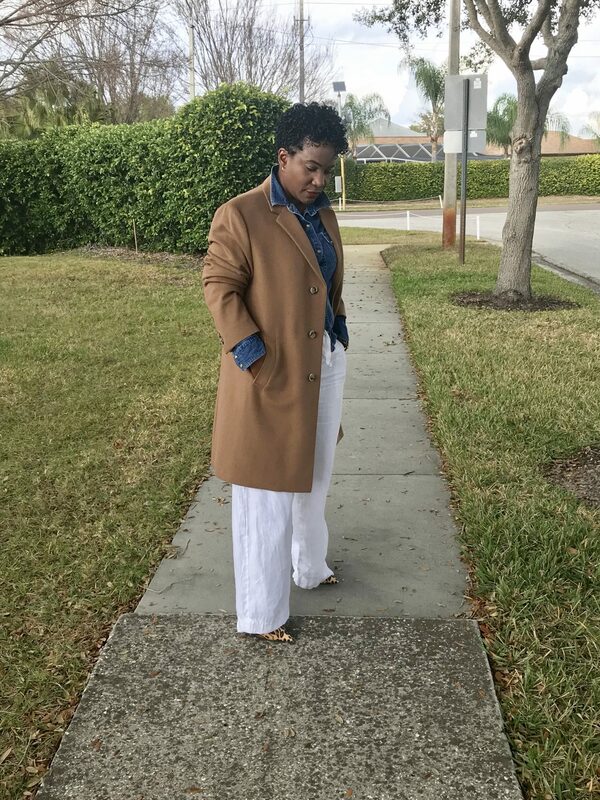 It’s a much for affordable option and provides infinite possibilities when I feel like giving my wardrobe a little style boost. Borrowing from the boys can be a little intimidating if you’ve never done it before. 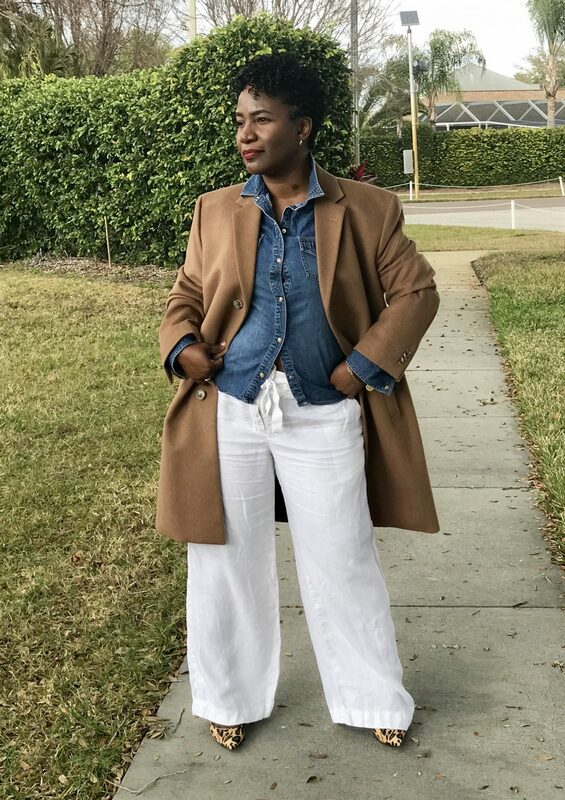 If you want to try out the look without making a huge up-front commitment, I’d recommend easing into it by wearing small pieces like a men’s wristwatch, an oversized sweater or a flannel shirt. Great ideas to try. Love the look.